Eine Steinplatte, eine aus Kunststoff. Steht auf dem Schulhof vom Evi. Man kommt nicht immer rauf. a secret place in Paris. 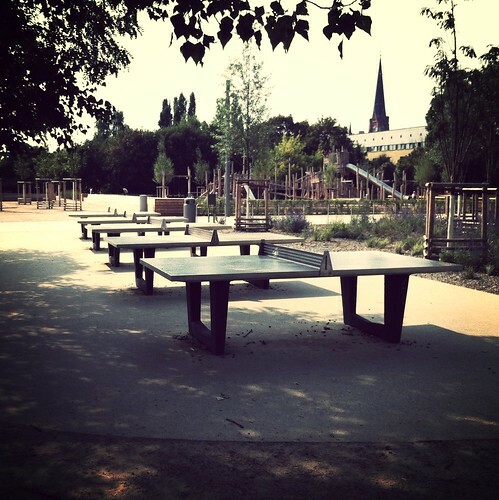 Quiet... and busy with children playing ping pong ! 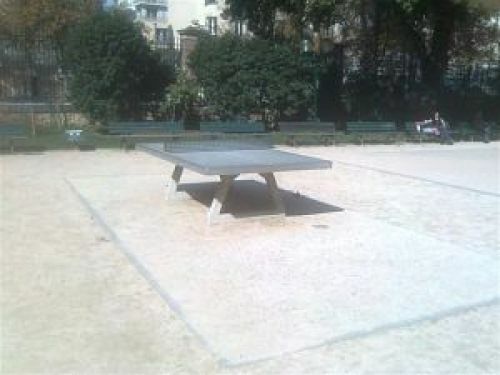 A good table in a nice park. 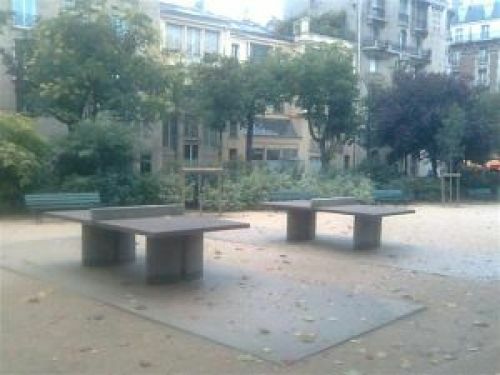 2 tables next to an aerobic area, in a nice park. 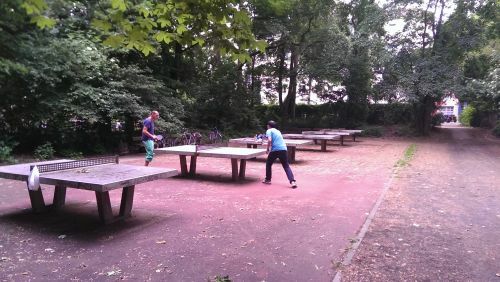 Chico Table Tennis Club plays here. 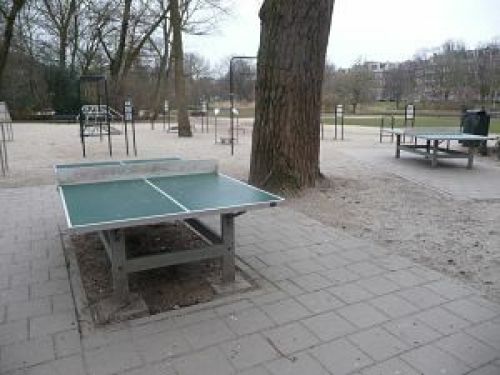 Clean simple pingpong table. 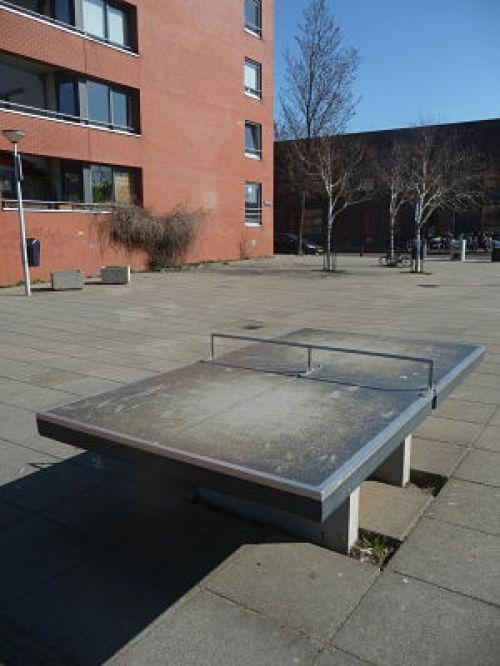 Also a nice spot to play some basketball or streetsoccer. Gut erhalten. Steht leider im "Windfang".